Dr Ashleigh Lin completed Master of Clinical Neuropsychology and PhD degrees at The University of Melbourne. 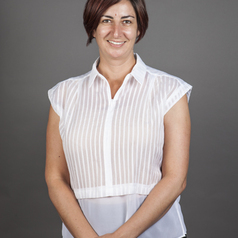 She is currently an NHMRC Early Career Research Fellow at the Telethon Kids Institute. Ashleigh's research is focused on early detection and intervention for mental health problems in adolescents and young adults with particular focus on vulnerable groups. She supervised the Trans Pathways Study and conducts several projects on the mental health of trans young people.